IBM is a leading cloud platform and cognitive solutions company. Restlessly reinventing since 1911, we are the largest technology and consulting employer in the world, with more than 380,000 employees serving clients in 170 countries. With Watson, the AI platform for business, powered by data, we are building industry-based solutions to real-world problems. 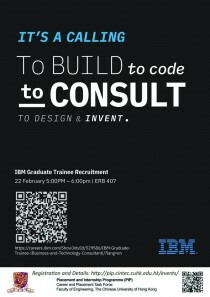 For more information, visit www.ibm.com. Here at IBM Global Business Services (GBS) we live and breathe a client-first mindset in everything we do. We understand our clients, advise them and deliver meaningful value to them. We inspire them and help them to become their market leaders. 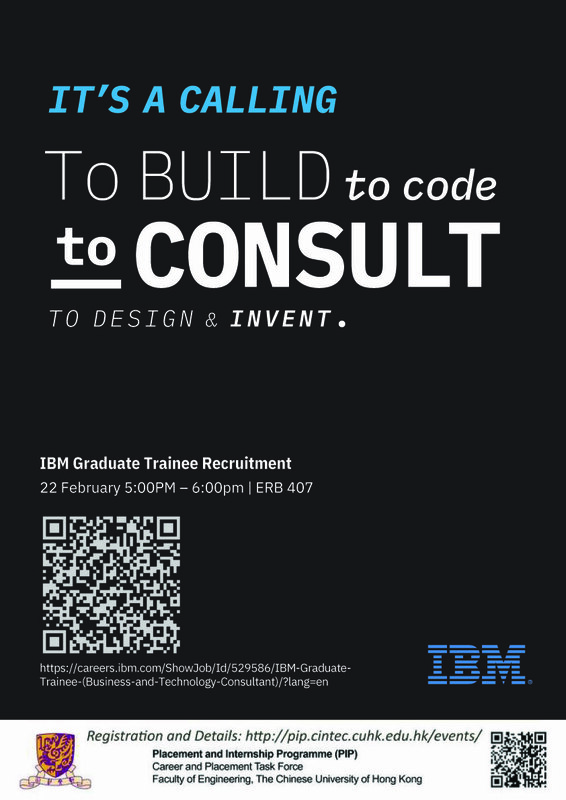 We call it The IBM Way and we’re looking for people who share this mindset. In consulting, you will take on new challenges every day, enjoy real responsibility from day one, work with the brightest minds in the business and help us make markets by transforming industries and professions with technology. We are looking for ambitious graduates who are forward thinkers with imagination and drive: people who can develop big ideas and turn them into innovative solutions for our clients. For details & application for the Program, please click here .